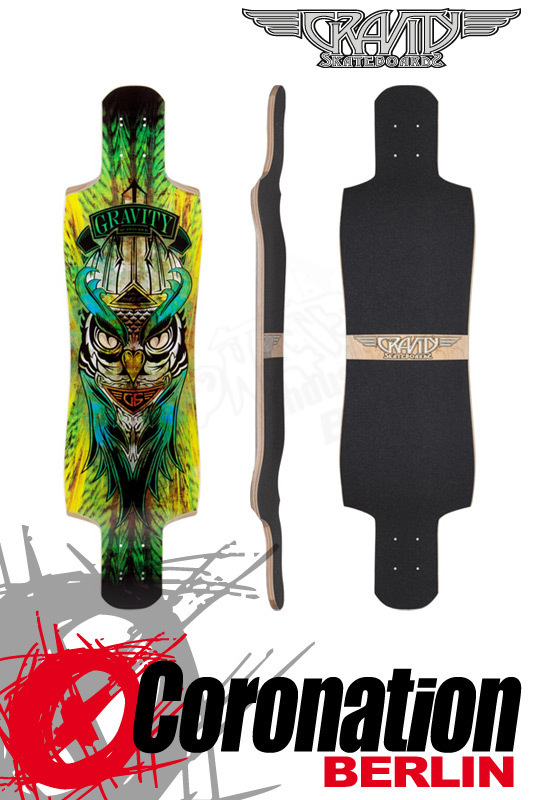 Gravity Skateboards "Twinkick" double kick drop longboard deck. Midnight Thief. Gravity. Starkes concave, dropdown , nose und tail incl. griptape. Symetrisches modernes Shape mit großen cutouts ohne wheelbite Gefahr. Perfekt für alle wheels in 70-76mm und 180mm trucks. SPECS: / L:38" / W:10 / N:2.875" / T:2.875" / WB:28.25"